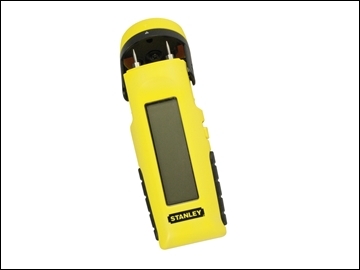 Gives % moisture reading based on electrical resistance across two pins. LCD screen with dual measurement bar graph. Measures moisture in wood from 6 - 44%. Measures moisture in other building materials from 0.2 - 2%. 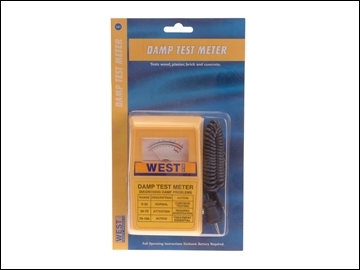 A Faithfull small, pocket sized damp and moisture meter that can be used to measure the moisture content in timber, paper, cardboard and hard materials such as mortar, concrete and plaster. The moisture content is displayed as a percentage reading on the LCD digital display that is equipped with a backlit function for use in dark environments. 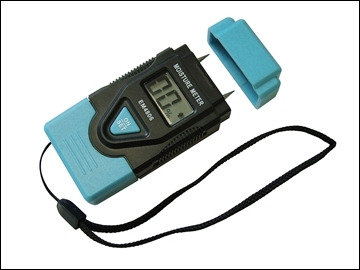 The meter can also be used to measure the ambient temperature and is compact, portable and easy to use. 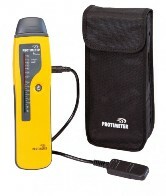 The meter is supplied in with a probe cover for safe storage when not in use. Clear easy to read LCD display. Works on hard and soft materials. 4 x LR44 Batteries included. Probe cover for safe storage. Wood: 6-42%, Material: 0.2-2.0%, Temperature: 0-40°C. Wood: 1%, Material: 0.1%, Temperature: 1°C/2°F. 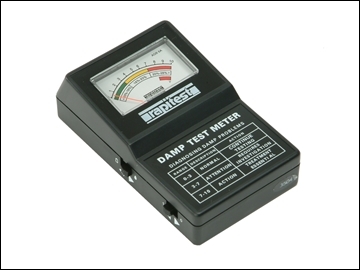 Uses an LED indicator system to locate and assess potential dampness/condensation before it becomes a problem. Simply probe the surface to be examined and read off the results. Ideal for home surveying or checking that surfaces are dry before painting and decorating. The DTM 118 electronically determines and traces levels of dampness, it has an easy to read numbered scale with colour coded zones. 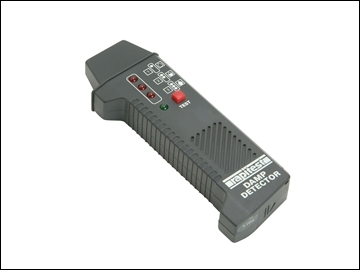 Thedetachable test probe enables readings to be taken from inaccessible areas (under floors, roof spaces, cupboards etc). Measures levels of damp and reveals the presence of wet rot. Test wood, plaster, brick and concrete. 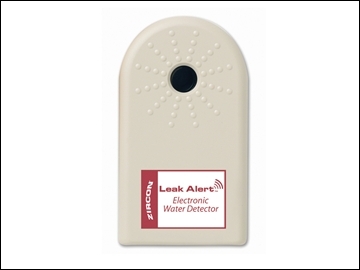 Leak Alert sounds a very loud alarm when it gets wet for up to 72 hours.